The first country to state the expulsion of employees of the Russian embassy was Great Britain. On March 14, during a speech in front of Parliament, Prime Minister Theresa May said that Britain was suspending all contacts with Russia and expelling 23 Russian diplomats. Next at the EU summit in Brussels on March 23, the Head of the government of the United Kingdom gave the leaders of the EU member states evidence of involvement of Russia in the poisoning of Sergei Skripal. After that, it was agreed to announce the expulsion of Russian diplomats on March 26. On March 26, the Head of the European Council Donald Tusk stated that as a measure of solidarity with London in the "Skripal case", already 14 out of 28 EU member states decided to expel diplomats of the Russian Federation. They are: Estonia, Latvia, Croatia, Sweden, Romania and Finland - 1 diplomat from each, Netherlands, Denmark and Italy, Spain – expelled 2 diplomats each, Czech Republic and Lithuania - 3, France, Poland, Germany and France - 4. Also, the Heads of the Ministry of Internal Affairs and the Department of Migration of Lithuania signed decrees according to which 44 citizens of the Russian Federation were banned from entering Lithuania. Another 23 people will not be able to enter Lithuania from March 26 because they pose a threat to national security. Furthermore, the allies of Great Britain on NATO declared the expulsion of Russian diplomats as well, including: Canada - 4 and the USA - 60. In addition, the US announced the closing of the Russian consulate in Seattle. Ukraine joined the diplomatic flash mob. 13 Russian diplomats will be expelled from Kyiv. On March 27, Ukrainian President Petro Poroshenko stated that such a decision was made because of solidarity with Great Britain and Western allies and in coordination with the EU countries. “Russia once again confirmed its disdainful attitude not only to the sovereignty of independent states, but also to the value of human life. Ukraine feels this every day in the occupied Ukrainian Crimea and the Donbas. That is why, it is important, as never before, not to be limited to symbolic gestures. The next step is an increase in the price for international crimes committed by Moscow, including the strengthening of personal, financial and economic sanctions,” the head of state said. Also on March 27, Australia announced its intention to expel Russian diplomats. "Two Russian diplomats who are identified as covert intelligence officers will be expelled within seven days by the Australian government for actions that do not conform to their status, in accordance with the Vienna Conventions," the press service of Prime Minister Malcolm Turnbull informed. The Ministry of Foreign Affairs of the Republic of Macedonia also stated that one Russian diplomat will be expelled from the country. “The Ministry of Foreign Affairs announces that in close consultations with our EU and NATO allies and in solidarity with Britain, it was decided to expel one Russian diplomat from the Republic of Macedonia in accordance with article 9 of the 1961 Vienna Convention on Diplomatic Relations,” the MFA said. The Belgian government also intends to discuss at the meeting possible measures against the Russian Federation due to the poisoning of Skripal. "The Federal Government will discuss possible measures in the second half of Tuesday," said Belgian Foreign Minister Didier Reynders. In the afternoon of March 27, Ireland expressed its solidarity with Great Britain. Two citizens of Russia will be expelled from Dublin. Also on March 27, NATO Secretary General Jens Stoltenberg said that the organization expels seven employees of Russia's permanent mission. "As part of this response, NATO is united in taking further steps. I have today withdrawn the accreditation of seven stuff of the Russian mission to NATO. I’ll also deny the pending accreditation request for three others. And the North Atlantic Council has reduced the maximum size of the Russian mission to NATO by 10 people in line with my decisions," Stoltenberg said. According to him, now the number of employees of Russia's permanent representative office will be 20 people. 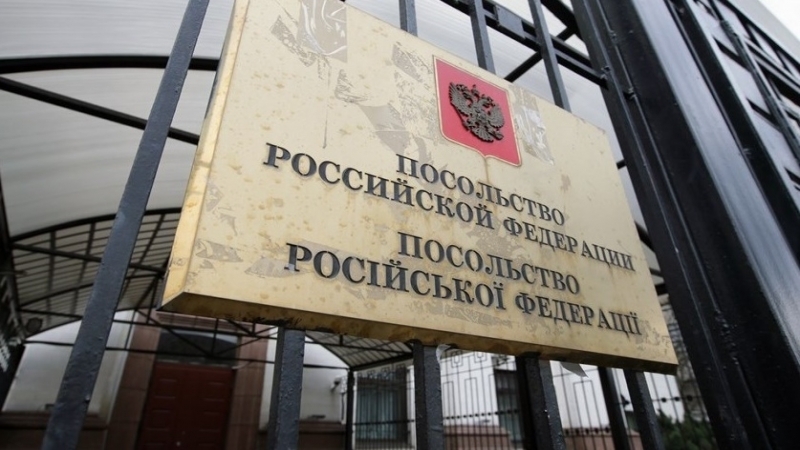 Moldova expels three employees of the embassy of the Russian Federation as well. “Three diplomats are declared persona non grata and must leave the country within seven days,” the message of the Foreign Ministry says. It is also worth mentioning those states which refused to show solidarity with London. These are Austria, Belgium, Bulgaria, Cyprus, Greece, Luxembourg, Malta, Portugal, Slovakia and Slovenia.